I have always loved reading, hearing and viewing new ideas. It is one of the things I love most about learning through my PLN. People I have connected with share ideas that resonate with them, and I in turn share them onwards. Something I would like to start doing is not only sharing my original ideas more, but also synthesising the ideas of others through original products, created by me. I particularly enjoy the infographic. Simply put, it displays information graphically. With visual media much more prevalent both in social networks but also within classrooms, this is a skill I am keen to develop. I have lent my hand to an idea I have found online, and created an infographic to accompany it. The process was elegantly simple, despite my feelings of trepidation prior to beginning. I will share this process below. So after hearing this, I felt inspired to pass this on – graduation speeches are often inspirational, but rarely make a lasting impact on me. I wanted to hang on to this idea! At its core, the creation of an infographic is an exercise in information literacy – it is transferring information from one medium to another. It is also a process that mirrors the research skills I expect from my students, and so I decided to make my process in this exercise visible to them. I located the section of the transcript that was relevant to me. The five questions was part of a greater whole, so I needed to discard the sections of text that would not be relevant. I read the text and made highlights – identifying the main points and highlighting key passages. I transferred these highlights into a mind map, in order to start making sense of the information. Translating the mindmap into a draft visual product. This I only got half way through, before deciding I was on the right track. On reflection, I am very happy with my first foray into infographic-ing. Even more exciting though, was the paralells I found between my process and the work I have my students do in class. The sharing of my experience with my students was something we both enjoyed, and I truly felt I was actively modelling positive life learning skills. Something I am implementing into my student’s Exhibition this year is a real ‘letting go’ in terms of the PYP Elements. I have been working up to this and the only prescribed element is knowledge – the Transdisciplinary Theme, which is ‘Who We Are’. The provocation is ‘health’ and the student groups are exploring a wide range of issues related to human wellbeing. The most rewarding experience for me in this process was the students making their lines of inquiry and central ideas. These of course begin with the Concepts. These 8 ideas form the basis of PYP learning and I found it affirming to me (and the PYP teachers before me in these students’ lives) that a deep understanding of the concepts was evident. The students were able to select the concepts that related to their areas of inquiry and apply them appropriately, composing conceptual statements summarising the relevance of the concept to their topic. My improvement on conceptual teaching this year appears to be paying off, and as my students follow through with their Exhibition journey, I’m excited to see where their independence takes them! One of the things that I am always tinkering away at is how to monitor student progress in class. I am but one in a sea of young learners and regrettably, I am not always able to pick up misconceptions or uncertainty from students during class. They are of course detected during checking and marking of work, but I am eager to refine this process. Courtesy of Alice Keeler I tried using Google Slides during lessons. My students have access to laptop trolleys, and during this lesson, we were lucky enough to be in a 1:1 environment. My class were researching biomes, and I wanted to be sure that all were finding sources that were accessible to them. So many resources online are geared towards older students, and it is vital for me that I know my Year 5s are able to understand what they are finding. I created a Google Slide doc with a single slide stating a question. I then altered the Master Slides and custom built a slide for the students to fill out. There was space for their name, as well as for an answer to the question on the cover slide – ‘What is one interesting thing you have learned during this session’. I shared the document through Edmodo, and within two minutes all students had submitted a response and I had been able to review them. I immediately turned my attention to the students that either took a while to respond, or whose responses were a little ‘vague’. The students then carried on with their task, seemingly renewed in their purpose by what was in their eyes a very minor distraction, and if truth be told, probably a useful little brain break for them. This will now become a regular feature of my teaching practice. We live in an online world. Like it or not, the reality is that we all, to some extent, rely on some aspect of the internet as part of our lives. 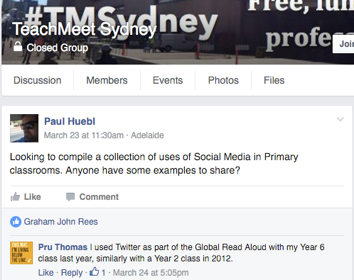 This discussion will look at how Social Media tools can be used in Primary Classrooms. Many issues stand in the way of full adoption by teachers, such as age restrictions, teacher fluency and privacy concerns. These roadblocks, if you will, largely make up the content of school policies concerning social media use. I will specifically here be looking at the Social Media Policy of my own school, and with a growth mindset, look at how the concerns that fuel this policy can be married to the benefits that lie with the use of social media in learning. If we take as given the notion of 21st Century Learning Skills giving students real world experiences, then the use of the Internet as an integral part of the learning process is also a given. I also want to make the assumption here early that we are referring to quality integration of communication technologies to facilitate social networking. 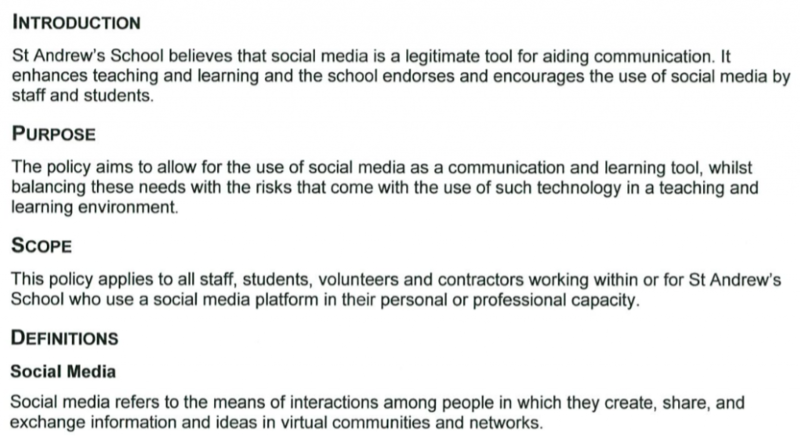 The social media policy at my school has an introduction that is well balanced in outlining the intent of the policy; Social Media should be used in a proper way. However, in terms of encouraging the use of Social Media in learning, this policy does a lot to discourage teachers who may not have the digital fluency to easily incorporate this technology into their learning. In the school policy, referrals to students needing to ‘learn appropriate skills’, as well as staff ‘responsibilities’, ‘obligations’, and ‘needs to facilitate’ represent an overwhelming barrier to adoption by staff not fluent with the technology. And understandably so – how can one teach something one does not understand? On this point, Mardis, ElBasri, Norton & Newsum (2012) present that Digital fluency is an obstacle to teachers implementing digitally based learning opportunities for their students, which naturally includes the use of social media. 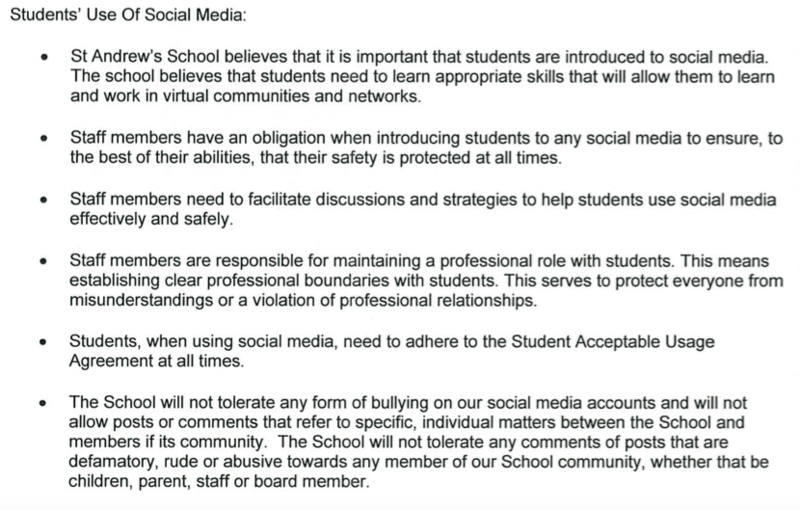 My proposal here is that this policy, while protecting students from potential risks, in fact does a great deal to discourage the use of social media within the school. My solution? Staff education in not only the educational benefits of social media in teaching and learning but also skills in use of these technologies themselves. This discussion will go part of the way to address this, by looking now at possible, practical and succinct ways in which social media can be used, in accordance with this policy, within our school. 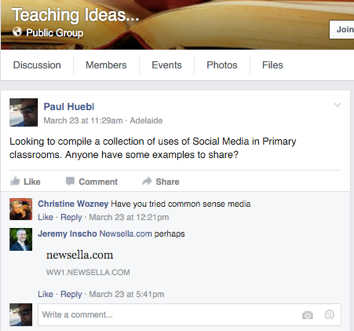 In readiness for the writing of this discussion, I consulted my own learning networks, using one Social Media site, Facebook. 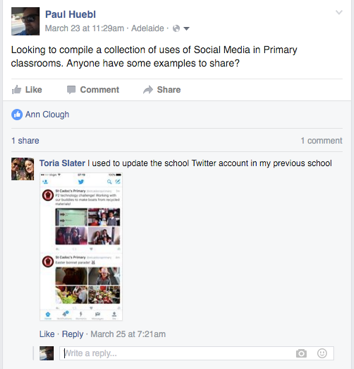 Following are screen grabs of my posts in various teacher groups on the site, of which I am a member, including the responses I received. There is a dichotomy that presents itself here between categorising the following discussion by tools, which can change, versus following the learning behaviours engaged in through using these tools. It seems to me that the latter is the more ingenuous approach. The resources sought through engagement in social networks and their alignment with what is mobilised through these networks represents a deeper understanding of educational practice and networking in education. However, as this extension of the policy being discussed here is aimed at teachers with limited digital fluency, a paramount concern is mitigating the feeling of being overwhelmed by the process. 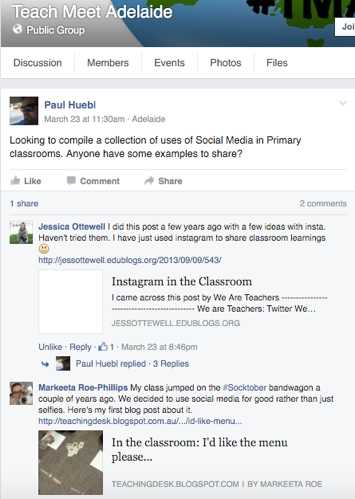 As such, I am choosing to present examples through individual social media tools. Along with blogging, Twitter is perhaps the most accessible tool available for teachers to model positive online behaviours as well as facilitate genuine connected learning through collaboration. Teachers can create and manage an account on behalf of the class and can quite quickly establish connections with other class accounts around the world. It is a natural consequence of such accounts existing, that they are on the whole very willing to enter into dialogue with new classes. My PYP students are able to connect, through this class account with other classes engaging in the same units of inquiry. The familiarity my class has with the content enables them to be active contributors to discussions as opposed to passive receivers of ideas and perspectives. Through the #askareporter program with BTN students are able to practically put to use their questioning skills based on news stories. Submitting questions through the #askareporter hashtag, they can meaningfully interact with the news program as well as interact live during weekly live streams. Documenting photos from excursions by using a hashtag that parents and other helpers can all contribute to. Using a video of yourself giving instructions for a task for both scaffolding and posterity. These tools are lumped together into one as they represent the idea of a virtual classroom. These are places where students can gather together online in a secure environment. 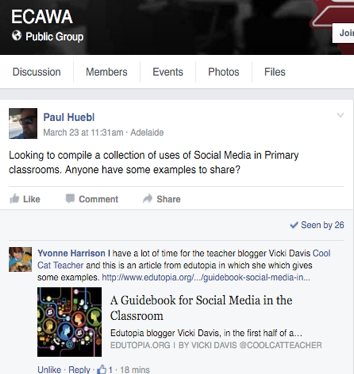 The way these are used are as varied as individual teachers but the basic tenets remain: teachers can share resources, students can access these resources, and a dialogue can take place through posts, replies and even ‘likes’. Sub groups can also be used to differentiate the distribution of resources and to provide secure ability based groupings of students. This type of tool is an excellent entry point for teachers as it is entirely secure, satisfying privacy concerns and is a great platform for practicing digital citizenship practices. A straw poll of my current class revealed this tool as their favourite as it allows flexibility for them in their learning as they are able to access their learning whenever they like, as it is all cloud based. This is primarily a classroom management tool that awards points to students based on achievements. What makes this a networking tool is that there is the capability of parents being part of the process and seeing what merits or deductions their children are experiencing. While this really just enhances already present parent teacher communication, there is a ‘live’ aspect to it that makes interactions more meaningful. Blogging has enormous power in allowing students to have an authentic voice and an audience for their voice. A student blog can be an outlet for a digital portfolio they share with their families and can also be a vehicle for gaining a peer audience for their writing. For example, the 100 Word Challenge allows students to receive feedback on their writing from students around the world and to give feedback as well. 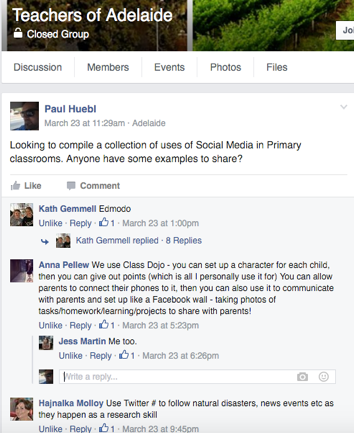 This is a meaningful application of their commenting skills, a key aspect to digital citizenship. 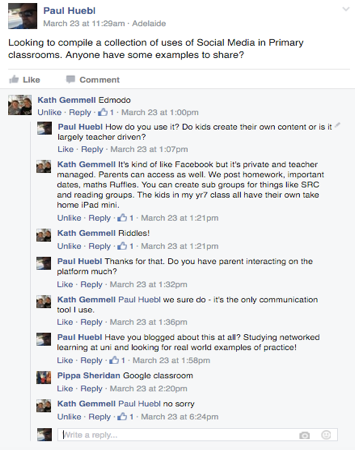 You Tube as a tool in education is really one that facilitates sharing and communication. Students and teachers can create video based work/resources and distribute them to any audience using this tool. Vimeo and TeacherTube are other alternatives, depending on what features are sought after. 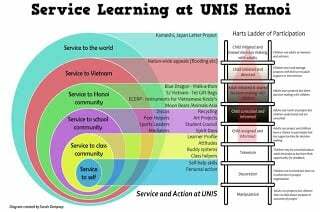 In summary, we know that networking supports learning and we know that there is often a divide between what is best from a networked learning perspective and what it is we are able to provide our students with (Evans & Mackey 2011). We also know that using technology for networking requires surrendering to the inherent risks associated with being online. As a result educational institutions require steadfast policy to mitigate potential risks. However, the restrictions often set out by such policy are a barrier to implementation by teachers who lack digital fluency (Mardis, et al, 2012). What educational policy surrounding social media needs is proactive, positive pathways for teachers to implement digital networking experiences for their students. We say we shan’t leave any child behind, and the same goes for teachers. With an attitude towards the sharing of experience capital and a growth mindset, teachers within institutions truly can be greater than the sums of their parts. Mackey, J. & Evans, T. (2011). Interconnecting networks of practice for professional learning. International review of research in open and distance learning, 12(3), 1-17. Mardis, M. A., ElBasri, T., Norton, S. K., & Newsum, J. (2012). The digital lives of U.S. teachers: a research synthesis and trends to watch. School Libraries Worldwide, 18(1), 70-86. As with Parts 1 and 2, this post constitutes my notes and reflections from a PD workshop, so don’t expect amazing prose! The exhibition is like a puzzle where a lot of pieces need to fall into place to create an experience for the students. This is of course all within the context of the needs of the school and students and local curriculum. 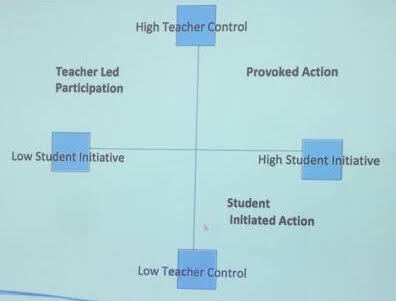 A key indicator is whether students are able to take action. Our group investigation continued this morning and Jill and I have changed the current two rubrics (covering broad elements, one for the group and one for the individual) into 5 separate rubrics that cover a wider range of skills in more detail. We now have rubrics for Self Assessment, Written Report, Oral Presentation, Research Skills, and Personal Skills. While this is a drastic increase in the number of rubrics, we have made the assessment process for the exhibition as a whole much more transparent as the rubrics are less detailed in their own right, but when combined cover a broader range of achievements. The oral and written rubrics were more or less replicated from oral and written rubrics that we have used through the year with the students already. This consistency (should) will help students fully understand what is expected of them in the exhibition. What we have discovered is that while the exhibition may seem a large undertaking, it is really just more of the same things that we are already doing. Through a regular unit, only certain aspects of student achievement are monitored and assessed, but with the exhibition nearly everything the students do is put under a microscope. So our thinking has been that we need to keep the day to day operations of the students as familiar as possible. Watching all the other groups share their personal learning was very eye opening and inspiring. One group delved into the idea of Action, and the forms that it can take; others looked at developing calendars for the exhibition; one school created an exhibition website (Google Sites) from scratch and others like Jill and myself looked into assessment. This was a wonderful experience as I was immersed in a vibrant network of teacher learners, all experiencing relevant learning journeys. The workshop resource website will certainly be visited regularly by me in the future! This was an eye opening example of action taken by a group of 11 year old girls in Tanzania and certainly puts things into perspective. What are your feelings about the exhibition now? I feel confident with it. Back to the day 1 analogy – I know what I don’t know, and that can really only be fixed with experience. What have you gained from this process? This workshop has been affirming. A lot of what I was unsure of, I had a hunch about and by and large, these hunches have turned out to be accurate. How does an exhibition promote understanding? It requires not only a deep level of learning, but also that learning needs to be made visible. These build each other up, too. The process of sharing learning is an extra step, part of the inquiry cycle, that requires learners to clarify their learning and in doing so, take it to a higher level. How has your perspective changed? Not a great deal. I am happy with my understanding of the exhibition as well as my place within the process. Five Days – go back to school next week and implement the new assessment rubrics with the students. These were not due to be distributed until now, so implementing them will be quite seamless. Five Weeks – this will take me more or less up to the end of the exhibition. I don’t want to lose sight of observing the process by trying to do too much. This is only my first year as a facilitator, so I want to experience this first time for what it is – an opportunity to learn from Jill my Y5 colleague as well as from the systems that are in place around the exhibition. Five Units – This workshop has served as a further PYP educational experience so I am hoping to inject a greater level of PYP language into my operations and teaching. Particularly, I would like to use Form and Function as base concepts that will inform students in creating their lines of inquiry independently. Five Years – I’ve never really thought this far ahead, but likely not a Y5 teacher running the exhibition. Nothing against the exhibition or Y5, but six years is a bit too long to be in the same position in a school. That being said, my experience as an exhibition teacher will help build the culture of the exhibition at my school further. 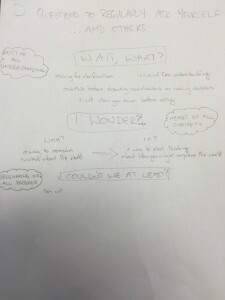 As with Part 1, this post is a record of my notes and reflections from the PYP Exhibition Workshop. What does the ‘right’ theme look like? This was hard for me to answer because I’ve not had experience with a variety of themes, and we generally do the same theme every year at my school. Discussion amongst the group led us towards the idea that any theme can be ‘right’ as long as it has an appropriate Central Idea that lends itself to students engaging with the topic or issue. The presence of the Australian Curriculum determining content was also a big discussion point – it becomes a fine balancing act. In the end the rightness or wrongness of the theme is a misnomer, because it’s more than just a ‘How the World Works’ unit. The concepts, content, attitudes etc all need to be arranged so that there is a ‘right fit’ for the school, and specifically the students undertaking the exhibition. Choosing the theme needs to be done whilst thinking about the students – what do they need to learn? What do they need as learners? Again, a common theme from this workshop is emerging: So much of the exhibition depends on contextual issues specific to a school and it’s learners. Doug took us through the way his school in Japan approach the Central Idea. A theme is chosen at the beginning of the year, and throughout the year, students bring in media stories concerning the theme (in this case, Sharing the Planet). With this constant exposure to the issue, come time for the exhibition, students were in a position to come up with phrases and ideas about the theme that went well beyond the obvious. Students were able to restate the theme in their own words and effectively explain it to audiences of different ages. 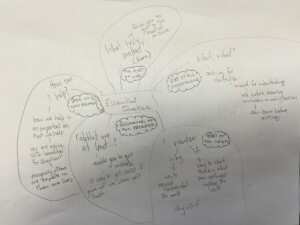 This constant exposure to making connections within the theme led to students having a broad understanding of the theme and thus an ability to see how a Central Idea could apply to different issues. A good Central Idea in this theme could apply equally well to pollution, or conservation, or recycling. This form of front loading the concepts as opposed to the content set the students up to be very autonomous in their research. In terms of how this works with our school, where the content is usually prescribed because of the Australian Curriculum is unclear. It is something that I certainly want to explore for the coming years. 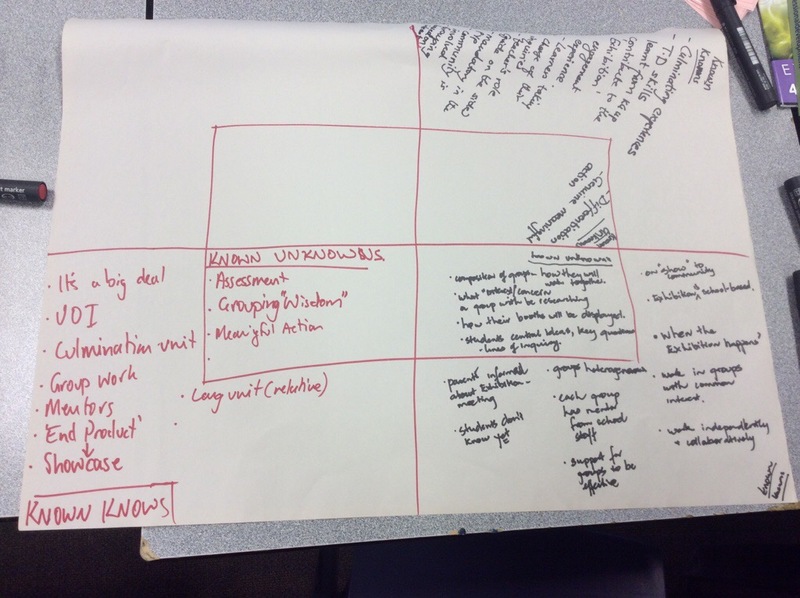 Looking at how students unpack the theme, a process of brainstorming and rewording was used by students to establish their own interpretations of it. This produced possible issues that could be used by different groups. Examples are shown in these videos below. Groups developing their lines of inquiry needed to begin by looking at the Form and Function concepts. The need was to understand what something was and how it worked before looking at other perspectives – they didn’t know what they didn’t know, and they needed to find this out. This meant research was encyclopedia based and did not require the Internet. This allowed teachers to monitor how well the groups understood the issue before they jumped in without knowing the background. Once this was done, they knew what they didn’t know and this became their lines of inquiry. I personally liked the idea of Action being evidence of a transformative experience by the students as a result of the learning. It is students responding to the knowledge they have gained throughout the unit. Action can be inaction but it needs to be based on understanding. If the students don’t understand the problem, they can’t identify the need that needs to be filled. When they have the knowledge and know what the problem is (form and function) they can then situate themselves to act on that. If you are exhibiting the attitudes, that is action. If you are demonstrating tolerance, that is taking action. If they are cooperating, that is also taking action. Choose – Act – Reflect. Head Heart Hand – understanding it, feel it and then do something about it. The different types of action – this slide summarises different types of action. It doesn’t have to be student initiated – but as teachers we want to encourage this and provide support where it is needed. Designing the exhibition needs to be done so that it allows action to happen – it provides opportunities for student initiated action. The real take away from this session was that the process is so much more important than the end product. Its the journey and not the destination, and as such ongoing assessment is vitally important. Student reflective journals, teacher anecdotal records as well as formal oral and written pieces must all contribute to final assessment for the exhibition. And again, its all up to the school to decide what works best. A new assessment structure was shared by Doug, the SOLO Taxonomy. It’s not something I’m going to implement immediately, but I always like looking at things differently. Our final task for the day was an individual investigation. We were all given the opportunity to break into school or interest groups and develop understanding or resources in our chosen areas. Jill and I liked the idea of adding an Oral Presentation component to the exhibition evening so started investigating that. This led us to the realisation that we would need to completely rejig our assessment rubrics – much more substantial than a scheduling change! This will carry on to tomorrow so I’ll post that then. So I’m back at Prince Alfred College in the last week of the mid year break, doing my second PYP Workshop for the year. The Exhibition Category 2 workshop is giving me and my colleague Jill some formal training on how the exhibition fits into the PYP and ultimately, year 5 at St Andrew’s School. This post is intended to act as a record of my notes and take aways from the course. So while I’m truly a novice at this, I’m a confident one! The structure of this workshop has developed through examining aspects of the PYP itself and viewing the Exhibition in light of them. First up was the IB Standards and Practices. Looking at these through the lens of the Exhibition showed us that the Exhibition incorporates all the standards and practices, and that all the standards and practices are necessary in order for the Exhibition to run smoothly. A conclusion was drawn that the Exhibition acts like somewhat of an assessment for the school. If the school runs the PYP successfully, then the students will be able to successfully complete the Exhibition. This is obviously a very broad statement, but is one that reflects the links between the two ideas. These guidelines refer to Organising the Exhibition, the Roles of various parties in the school, Collaboration of students, Staging the Exhibition and the use of ICT. The key word here is guidelines. A misconception I had about the Exhibition is that there were a lot of rules and ‘have tos’ surrounding it. The only thing in the standards and practices is that it happens in the final year, and that resources need to be allocated to it. Everything else is at the discretion of the school. That is, whatever works best for the school, given its context. So things like level of teacher guidance, method of grouping students, the time of the year it is held etc are all at the discretion of the school. My big take away came from the Exhibition handbook, in the form of the following table, which outlines the manner in which the exhibition unit differs from regular units. Curriculum for the future – reading comprehension, information search and retrieval, mechanism to believe. This ending from Sugata Mitra resonates with me. Information literacy is paramount for children. Without knowing future contexts of society, this core, stripped down skill will be needed by today’s children and will be shaped by them as necessary. What does this mean for the children currently undertaking the exhibition? Students searching for and finding information independently and then organising that information in their own way is core to the process of the exhibition. Also the role of the teacher in the exhibition matched the idea of the teacher facilitating higher levels of learning, not focussing on discreet skills. I question though, the ability of students at this age being self motivated enough to persist with research without significant scaffolding by a teacher. In high school perhaps students will have a desire to become discerning with information, but in primary school, students still need to be guided through the process. So, the role of the teacher in the exhibition really seems to be one of supporting the students as necessary, givingq them the best chance of success as possible. The PYP has 5 essential organising elements – knowledge, concepts, skills, attitudes and action. Discussion of how these relate to the exhibition brought up a burning question for me: How do we as a school treat the 5 elements equally? When dovetailing the PYP and the Australian Curriculum, we fit content into the transmissible nary themes ( knowledge) then apply the concepts and then the skills and attitudes get ‘tacked on’ where they fit in. Ideally, skills and attitudes should be just as important as the concepts and the transdisciplinary themes. Our workshop leader remarked that it would be appropriate to let the students decide what concepts skills and attitudes they wanted to use in their exhibition. I agree with this as it would allow true autonomy over learning, as long as the students are equipped with the ability and knowledge of these to apply them appropriately. This speaks again to the school working towards the exhibition f rom reception. A year 2 teacher should be teaching confidence and thinking with the aim that the student will need to be fully versed in these skill and attitude by the time they get to the exhibition on year 5. 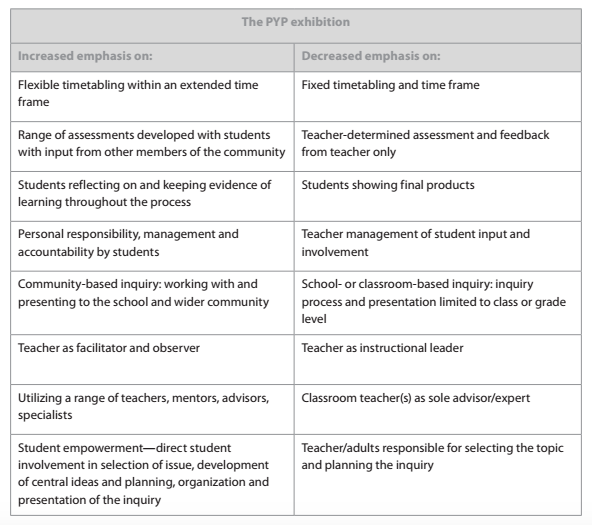 Again, the exhibition truly is an assessment of how well the PYP works at a school. I’ll post parts 2 & 3 on Days 2 & 3. This year for the first time I am teaching the PYP and also guiding Year 5 students through the PYP Exhibition. It basically involves the students taking themselves through a unit of inquiry where they have full autonomy over the lines of inquiry and culminates with a public exhibition of their learning. I’ve regularly mentored groups as a non-Year5 staff member (which is part of the process) but have not been directly involved in planning and delivering the unit before. Something that always stood out for me as I observed it from afar was that there seemed to be a lot of time and energy spent by the students in making or constructing something as a result of their inquiry. For example, an inquiry into waste and recycling would lead to students ‘Taking Action’ by creating and building a new type of bin. An inquiry into the needs of the elderly might lead to the design and mock-up of a new type of emergency pager. And so on. The reservation I have about this final construction phase is that there is a big potential for the students to lose sight of the learning and context for the product and get wrapped up in the fun and excitement of building. True, building is exciting and fun, but I think it compromises the learning and investigation that precedes it in the process. Past Year 5 teachers have said that the kids ‘run out of time’ due to the construction phase. It seems to me that rushing an inquiry, for the sake of what is usually a tokenistic creation, is feeding the notion of ‘bells and whistles’ in learning at the expense of deep learning. Like any use of technology, physical building of something needs to enhance the learning outcomes. Since the exhibition primarily addresses research skills, I see no place for a construction element to be so prevalent, or lead to taking student focus away from their lines of inquiry. This year we have changed the approach for the exhibition unit. We are deepening the scope of research the students are required to do, and are taking away the building part at the end. The ‘taking action’ aspect of the inquiry will take the form of the students presenting links between a piece of technology, the scientific principles that underlie it and the human need that it satisfies. Students may approach this from any of the three angles, but there is no creation of something new. This is quite a change in the culture of the unit, but one which I think will lead to deeper learning, and a better appreciation of how technology helps our society. Staff Meeting tonight had us extending the staff focus of deliberate planning into effective lesson design. We have been emphasising planning and reporting by achievement standards within the Australian Curriculum; Starting with these standards and working backwards towards individual learning experiences. A ‘golden pickup’ I have developed is the idea of giving students a learning intention before every lesson. This has helped me focus my teaching to align with all our careful planning, as well as given the students an increased sense of context and purpose for their learning. Learning intentions must be explicitly clear for all students in the room. Intentions must be visible. Learning intentions are not descriptions of an activity. They are directly linked to achievement standards. There should be no secrets in the learning process –> this means success criteria must also be clear and explicit. Success criteria tell kids “You can succeed at this and this is how you do it”. 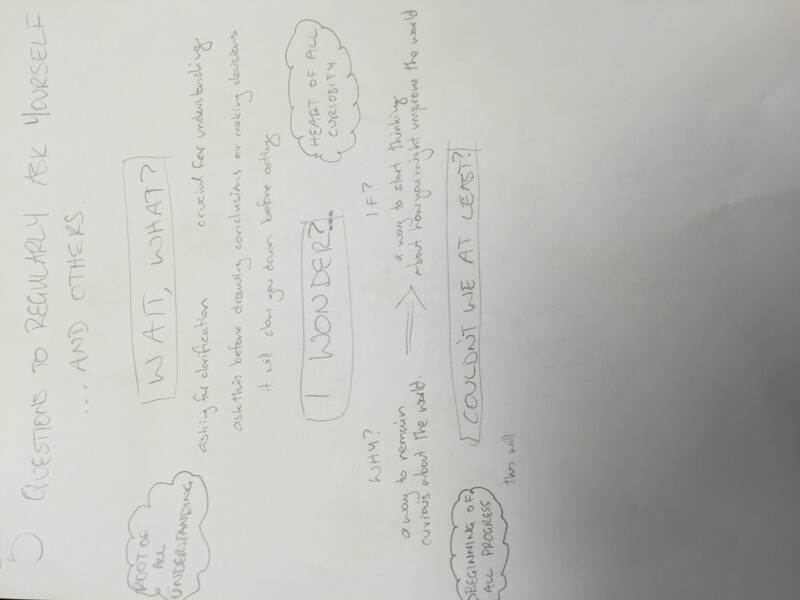 What does it look like to achieve the learning intention? Along with WALT statements (We Are Learning To) and WILF statements (What I’m Looking For) you also need to address TIB (This Is Because) which links WALT and WILF to the students personal contexts. 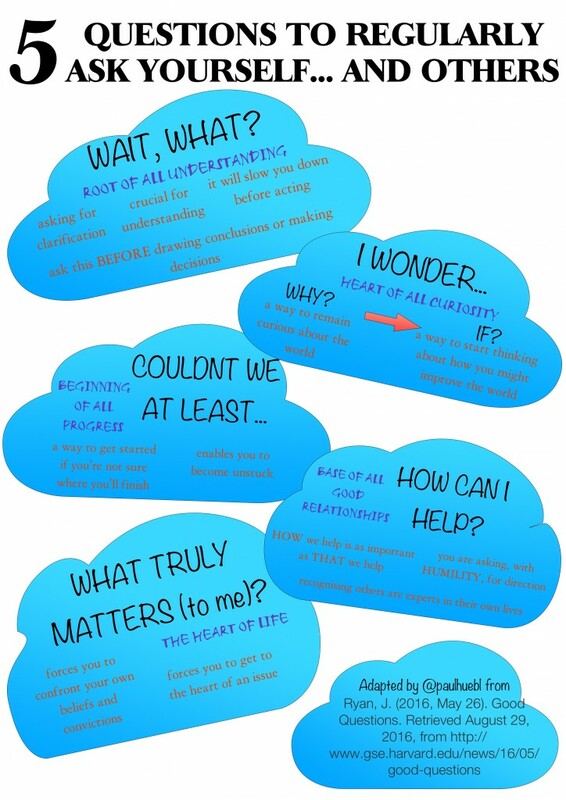 To help with students engaging with WALT and WILF statements, these can be present on task sheets and blank work sheets. That way teachers can easily indicate how students have performed against them. Students should be able to state learning intentions and success criteria. This is easier if displayed as above. Don’t use the term differentiate. Say ‘make it accessible’. There was also some discussion about the notion of Prime Time in student engagement levels through the course of a lesson. It peaks in the first ten minutes before hitting downtime after 20 and then a second, lower, peak at the half hour mark. This led to some great staff discussion about all of the above. 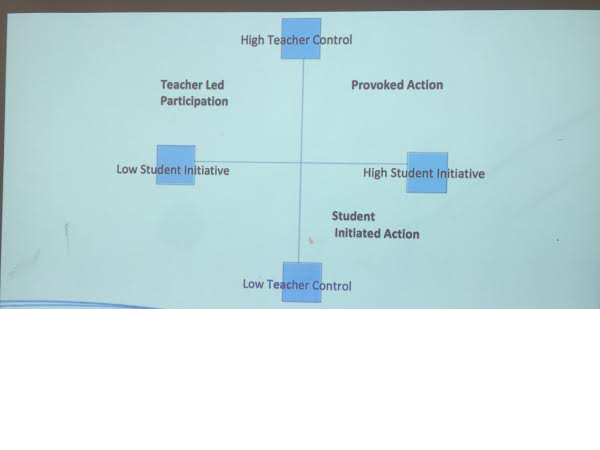 Most year levels shared some insights from the session and related it to what they were doing in their classes. In Y5 we shared our ‘Position’ class interventions, which I’ll detail once report season is over! So again, school and kids have bumped my blogging down the ladder of priorities, as they should. Reports, birthdays and life in general have been in the front seat, but also has been a new tool that I have been taking for a spin in the classroom. Showbie is an app that I have been familiar with for a long time, and was even part of our workflow solutions this year as we introduced the 1:1 iPad program. It didn’t stay long in the forefront of our day to day working, but this term I have used it again, to great success. I have been able to guide my students through the writing of historical fiction this term, satisfying the MYP subjects of Design, Individuals and Societies and Language and Literature, as well as the Australian Curriculum content outcomes for History (different perspectives). I have been teaching this in discreet chunks, lesson by lesson eg Step 1 was to find an Australian historical event. Step 2, think of a unique perspective Step 3, outline key historical tidbits etc. This is all well and good but because of constant student absences due to music and other co-curricular considerations, students often miss these discreet teachable moments. With Showbie, I am able to record instructional materials and individually monitor the progress of individual students throughout the task. I can digitally annotate their works in progress and provide verbal feedback too. Once I turned off the email notifications (which came thick and fast everytime one of the 50 Year 6s updated their work, which was often) I found the app incredible in its capacity to allow me oversight of the students work. I still conference with the students 1:1, but this digital record of their progress is valuable and something I will integrate into my digital toolkit moving forward. This work by Paul Huebl is licensed under a Creative Commons Attribution-NonCommercial-ShareAlike 3.0 Unported License. Powered by Edublogs and the Designfolio Theme.